Sometimes there’s not a grader on the market that’ll do the job exactly the way you want it done. What to do when this occurs? Build your own custom grader of course! This one-off build was created by Brent Engineering, who are based in Irvine, California. The owner, Ron, has gotten himself a bit of a reputation as the Dr. Frankenstein of motor graders, as this is just one of in a line-up of custom builds he’s put together. 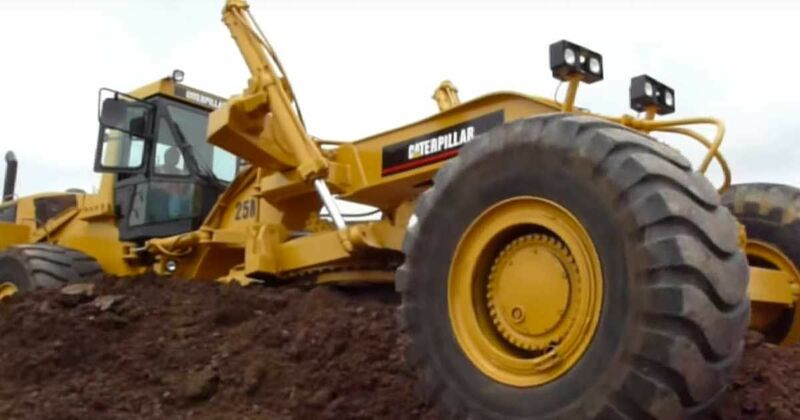 According to sources at Heavy Equipment Forums, this beast is an amalgamation of Cat 235C, 657B, 834B, 836B, 988B and D10N parts. Much thought will have been put into this design, and Brent Engineering will surely have plans for cutting, spreading and leveling material with this custom road grader. It would appear that the blade can track left and right, and the machine is controlled by two joysticks in the cab. The long body, big wheelbase and 988B cab make this creation something special, and probably the greatest Cat grader you’ll ever see. Brent Engineering, in addition to working on public and private civil works programs, exports custom equipment both domestically and internationally, so get in touch for your own Frankenstein’s creation!